Trying to keep warm in your property can be hard work when you are in retirement. A cocktail of high fuel bills and colder winters has resulted in more older people being left in fuel poverty than ever before, meaning they cannot afford to heat their homes. The number of elderly people that have reached fuel poverty in the last four years has more than doubled, with the number of people living without adequate heating estimated to be 2.25 million. A further 250‚000 are likely to be pushed into fuel poverty as a result of growing gas bills. The elderly are the ones most at risk from fuel poverty and account for around 50% of households affected. Figures from Age Concern show that nearly two-thirds of older people were more worried in 2008 about paying for their heating then they were the previous year. This is a worrying figure, especially when research from the Office for National Statistics shows 22‚400 extra winter deaths occurred in 2008. You would think that this figure would prompt the elderly into claiming their benefits, but there are still around £5bn in unclaimed benefits, which could help to go towards keeping you warm in your home. The UK has the steepest number of excess winter deaths in Europe, which is surprising when you think that the UK does not have as harsh winters as countries such as Finland, Denmark and Austria. The average fuel bill has risen by a staggering 60% in the last four years, but the average fuel allowance has not. It is not hard to understand why people are tempted to switch off their heating to save money. It is important you try and make sure you stay warm in retirement as one of the main causes of death in the elderly is hypothermia and the most common place for hypothermia to hit is in the home. Hypothermia occurs when the body’s temperature drops to 35° C and the illness is the main contributing factor to the cause of death for around 400 people every year in the over 65 age group. Paying for hefty fuel bills can be hard, but there are a few simple measures you can take to make the most out of your property. You should set your thermostat at around 21ºC (70ºF) and try and only heat the rooms that you are using that day. 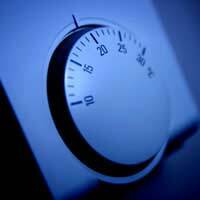 During the night you can let the temperature drop but you must keep it above 18°C (65°F) to be on the safe side. Heaters or electric blankets can also help to keep your room warm. If you have not used your electric blanket for more than three years though you must make sure you get is tested by either the Fire Brigade, Trading Standards or a charity such as Age concern. The rising cost of fuel is a main concern for a lot of people entering into retirement. The statistics paint a bleak picture of fuel poverty in retirement, so it is important to wrap up warm and seek as much help as you can.